A Jeli’s Tale: Anthology of Kinship is an experimental audience participation project by Samantha Hill. The goal of this project is to collect family stories and photographs in order to build an ethnographic record of Chicago. 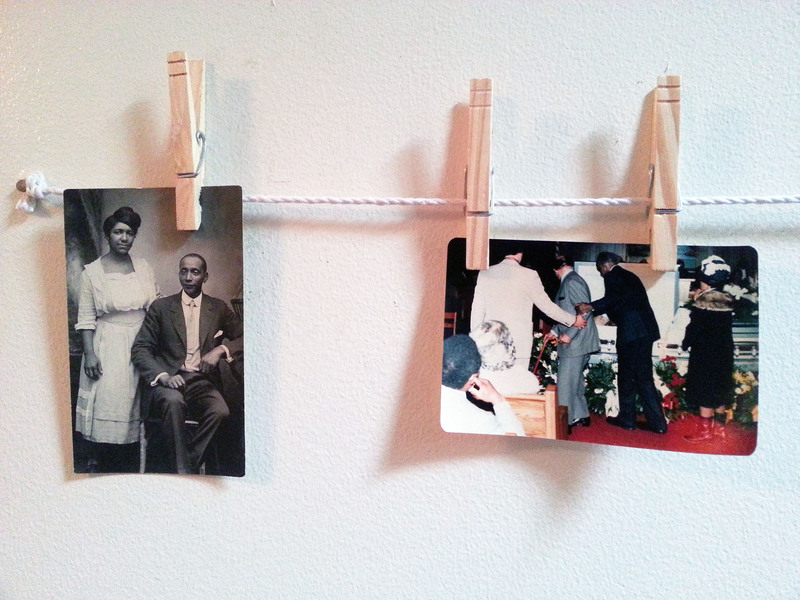 Samantha Hill constructed an installation of found & donated African American family photographs from 1910 to 2010 within Southside Hub of Production (SHoP). The photographs are hung on a series of clotheslines that operate as map to link several families into a single tribe. Please contact Samantha Hill at kinshipcollection@gmail.com or call (773) 828-9549 for an appointment. *Note: All stories and photographs donated to the project are for public display purposes only. Participants retain ownership of all personal materials.